He Lost His Virginity With an Alien – Zero Equals Two! Does this sound like something out of the X-Files? It’s not. David Huggins says he’s been having a sexual relationship with an extraterrestrial for more than half a century. He not only talks about his encounters; he also paints them. Now there’s an online film about his story, too: Love and Saucers. 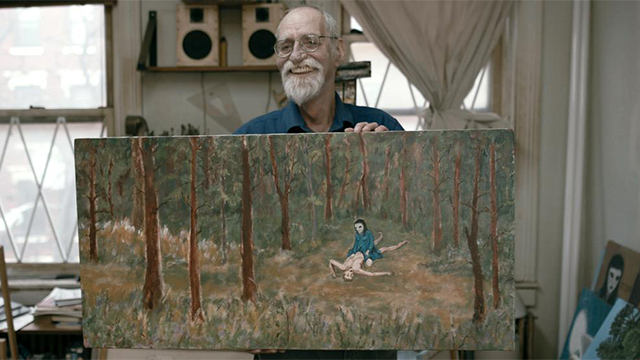 When he left Georgia in the mid 60s for art school in New York City, the beings followed. Nocturnal visits from Crescent, the ET who deflowered him, became routine. “My relationship with Crescent was warm and friendly. A little strange. What do I mean, a little. Very strange. She was my girlfriend, really,” Huggins says in the film. “A very unconventional relationship,” he adds.